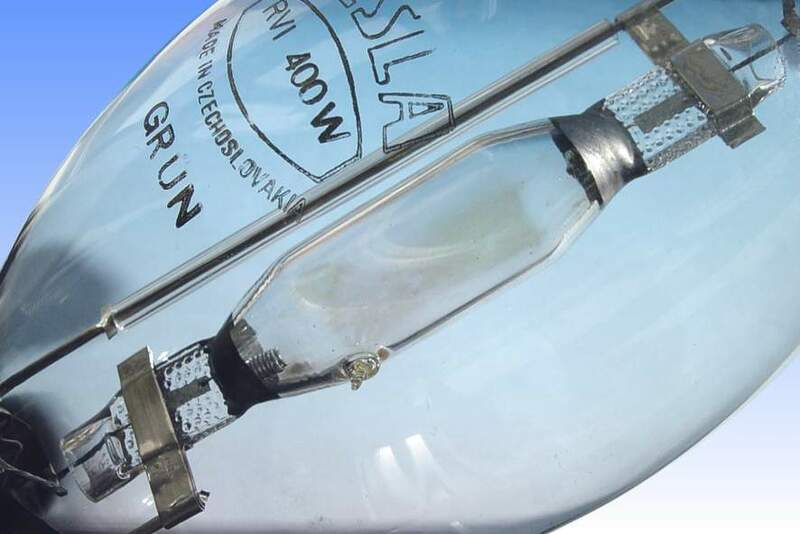 This is one of the early attempts at a coloured metal halide lamp, made by Tesla in Czechoslovakia. 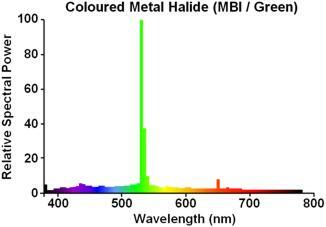 The fill material in the arc tube consists of Thallium iodide plus a small amount of mercury. In the name, Z=Zelena, green in Czech. 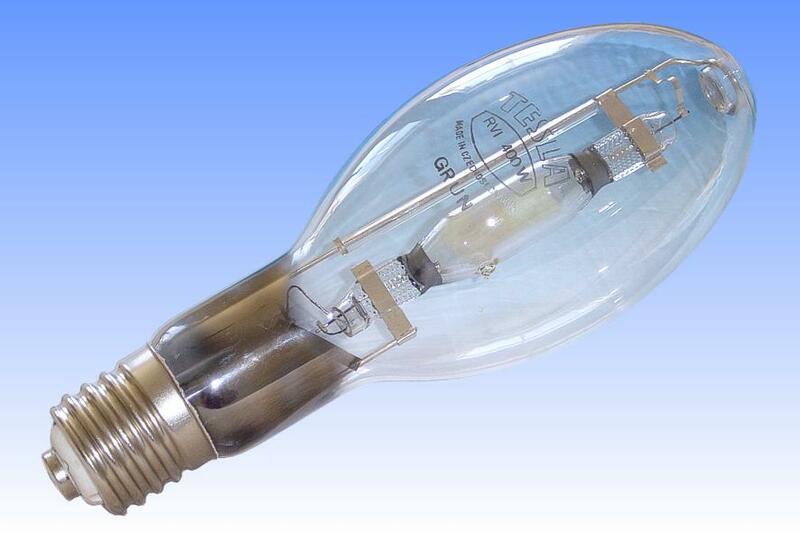 The lamp is intended for operation on a simple ballast only, with no external ignitor being required. The ignition pulse is provided by a bi-metal starter switch of a design that is typical of many Tesla lamps. 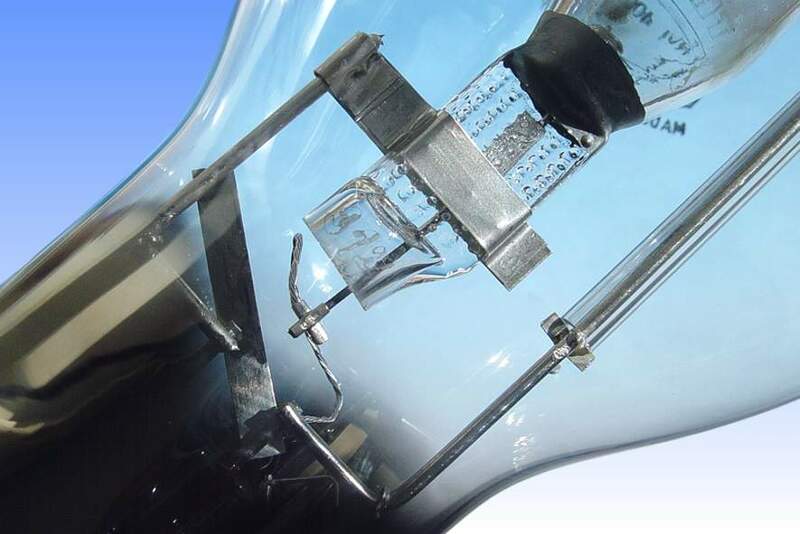 A bi-metal strip is welded to one of the stem wires and touches the other directly above the glass stem press inside the lamp neck (see second thumbnail photo). When the lamp is cool this strip provides a direct short-circuit. On applying power the full short-circuit current provided by the ballast flows through this strip which heats up, flexes, and breaks the contact. The magnetic field which then collapses around the windings of the ballast producing a sufficiently high voltage pulse to strike the arc. A silver plated contact stud reduces the likelihood of arcing. The arc tube is of a type manufactured from a single piece of narrow diameter quartz tube, inflated into a mould at the central area. The end chambers around the electrodes are conically formed to maintain a high temperature here. Heat reflective coatings of colloidal graphite at either end prevent condensation of metal halides behind the electrodes. Even the outer jacket of this lamp is of a type that was unique to esla. It has been blown as usual, but the dimple added afterwards by a special vacuum-forming technique. The glass at the crown of the bulb would be heated, and the dimple formed by sucking the soft glass here into a special mould located inside the bulb.